Kiosk Connection : Leading providers Business Centers and secure kiosk software for security, monitoring, and management of remotely deployed kiosks. of a full service business center. 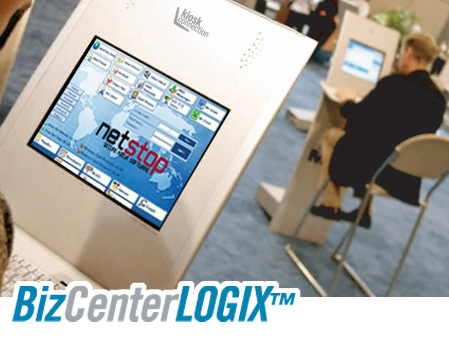 BizCenterLOGIX™ is available as a ‘plug and play’ self-service solution with full service business center capabilities including high-speed Internet access and black and white printing. Kiosk Connection is a Wireless Logix Group member.For more information about the companies in the Wireless Logix Group, please visit www.wirelesslogixgroup.com.